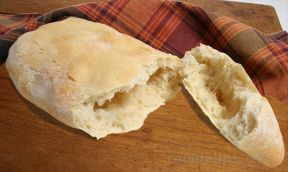 Soft and slightly chewy, this homemade version of the popular pocket bread is surprisingly easy to make, and it tastes so good whether eaten plain or filled with a variety of sandwich ingredients. 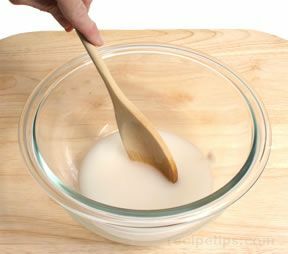 In a large bowl, mix the fresh yeast with the lukewarm water (use a wooden spoon for mixing because metal utensils may react with the yeast) and allow it to sit for 5 or 6 minutes. 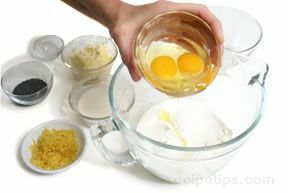 In a medium bowl, blend the flour and the salt. 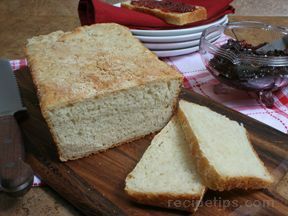 After the yeast has sat for the appropriate time, add the extra-virgin olive oil and stir (again, using a wooden spoon). 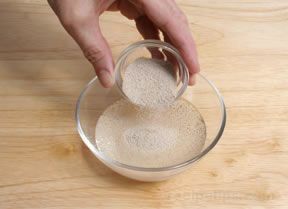 In small increments, stir the flour and salt mixture into the yeast and olive oil mixture. 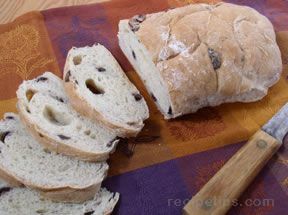 Knead the dough in the bowl with a wooden spoon until it is soft. 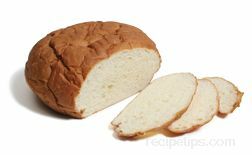 Knead the dough on a floured surface for several minutes until it is smooth and elastic. 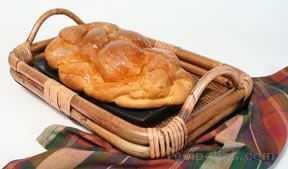 Place the dough in an oiled bowl, cover it with oiled plastic wrap, and allow it to rise for 50 to 60 minutes or until doubled in size. 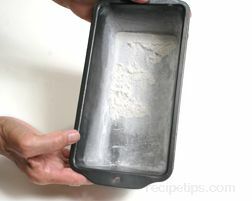 After the dough has risen, punch it down and transfer it to a floured surface. 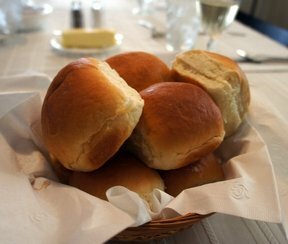 Divide the dough into 6 pieces and form the pieces into balls. 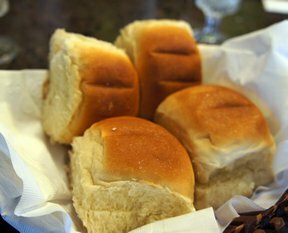 Allow the balls of dough to rest for 5 minutes on the floured surface. 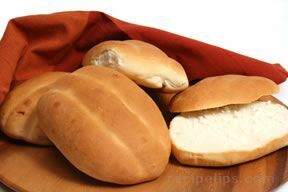 Flatten the dough balls with a rolling pin. 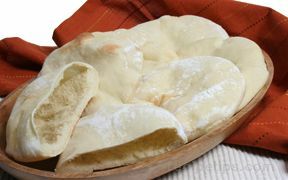 Form the dough into rounds or ovals about 1/4 inch thick. 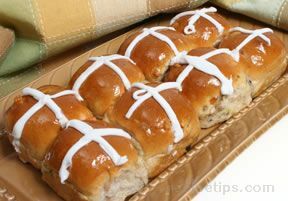 Cover the dough with oiled plastic wrap and proof it for 30 minutes. In a preheated 450°F oven, preheat two ungreased baking sheets. 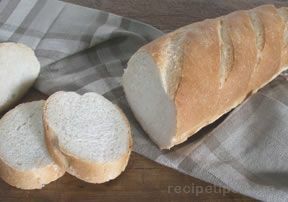 Note: It is very important that the oven and baking sheets be heated thoroughly before baking the bread. 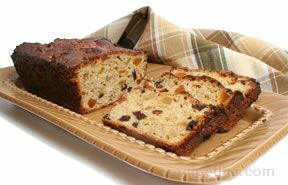 The hot temperature prevents the dough from sticking to the ungreased baking sheets. 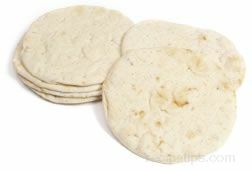 When the baking sheets are hot, place three of pitas on each, return to the oven, and bake until the bread is puffed up (about 5 or 6 minutes). 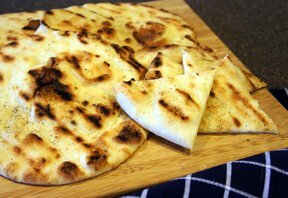 The pita will be barely browned. 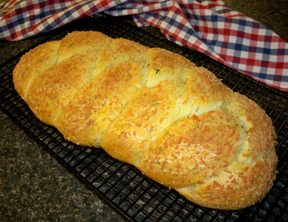 A pocket will form in the bread as the dough puffs up during the baking process.